I was given this book by a friend with the words "it's a very fast read". I don't know about you, but I've never come across a book about the Crusades that wasn't complex, involved and in places a wee bit boring. However, this 2007 book is a really enjoyable read. The author handles the mix of politics, religion and military matters with a steady hand resulting in a clear description of the Battle of Hattin and the events that led up to this fateful battle. 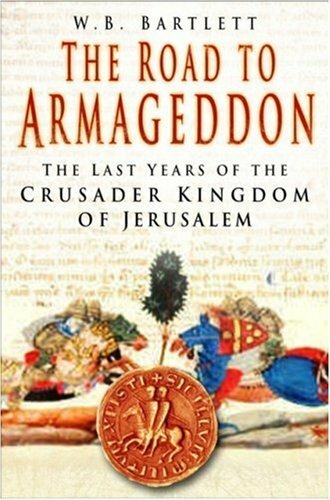 I enjoyed reading this book a lot and for the first time I have a framework to help me understand the more complex books I have on the Crusades. Highly recommended. I have enjoyed what I have read of your Blog this evening and will return soon. I use dbm, by the way, but hope to give dbmm a go soon.